The club are delighted to officially unveil the new Bedford Blackhawks Flag uniform. Manufactured by NuOla Custom Clothing, the new jerseys are predominantly black with purple numbers and white trim. We have been working alongside NuOla for the last couple of months to create and perfect a design that our players will be proud to wear this season, and I believe we have achieved just that! I am over the moon with the final outcome of the jersey and all of the hard work and effort it symbolizes. We as a team are proud to pull this jersey on this season. 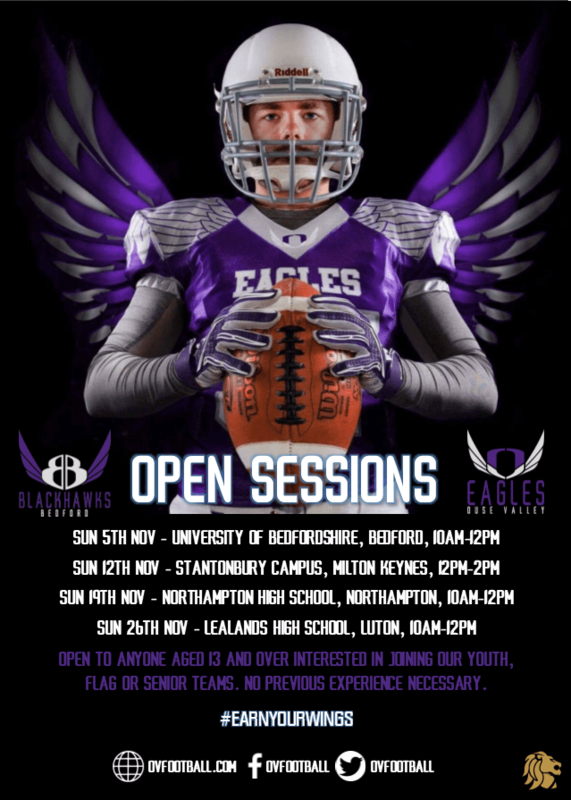 You can buy 2016 Bedford Blackhawks merchandise via our Football America Team Store, which is all new for this year and features the Blackhawks logo and club colours of purple, white and silver. There are a number of t-shirts available starting at £13 each, hoodies starting at £20.50 each and a number of other items available such as hats, shorts, jackets and polo shirts. All proceeds from sales received by the club go towards funding team equipment.